Internal emails are used to send notifications to internal staff when leads meet a specific set of conditions in an Automation Workflow. 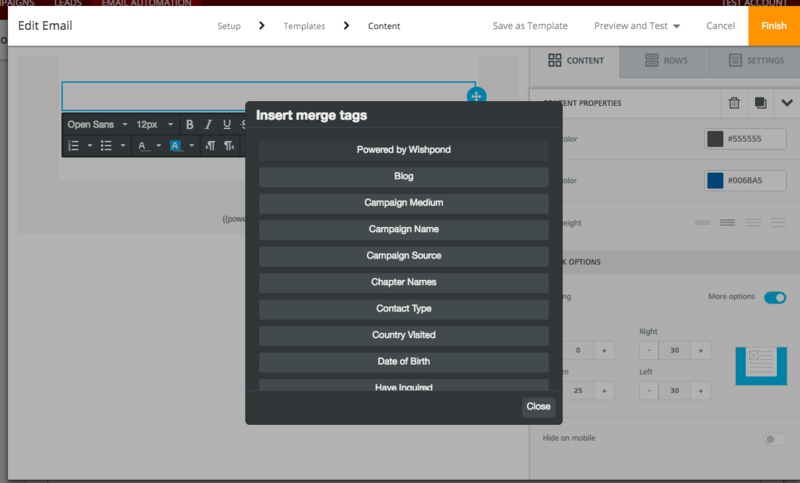 2) Click on "Standard Workflow"
For example, choose the 'campaign' option to send an internal email when someone converts on a campaign. 5) Now scroll down to the Action section of the workflow and click on 'More', then click on 'Send Internal Email'. 7) You can insert merge tags to pass whatever information to be included in the email. If you are unsure what merge tags are, refer to this article.